There are lots of pluses to wear ballet flats, but I am here to talk about different ways how to combine this footwear with pants. Ballet flat pumps are not only feminine and sweet, but they are also comfortable and versatile. It’s great to see women who prefer to wear flat pumps, as they do pay attention to their health and comfort. I prefer to wear this footwear with solid neutral color pants. If you are a beginner to this combination, then you should go for slim-fit pants, as they ideally suit embroidered ballet pumps. Light color pants look pretty chic with velvet flats or the ones made of denim. I call it matchy match! 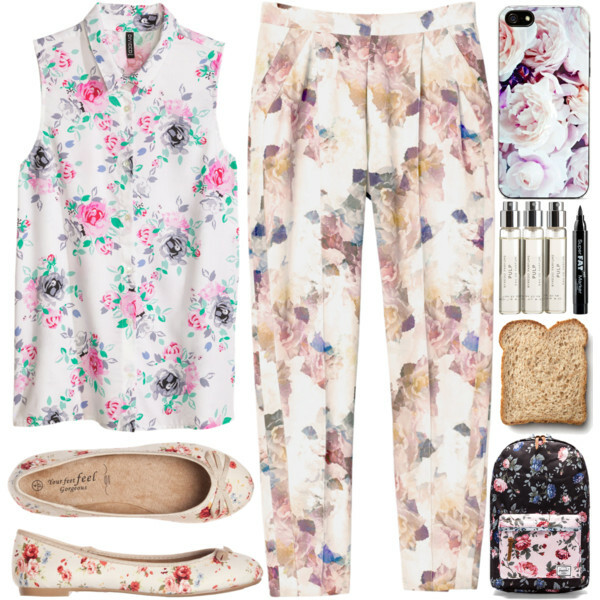 All in florals can be a very sweet, but keep it all in the same pastel hue.